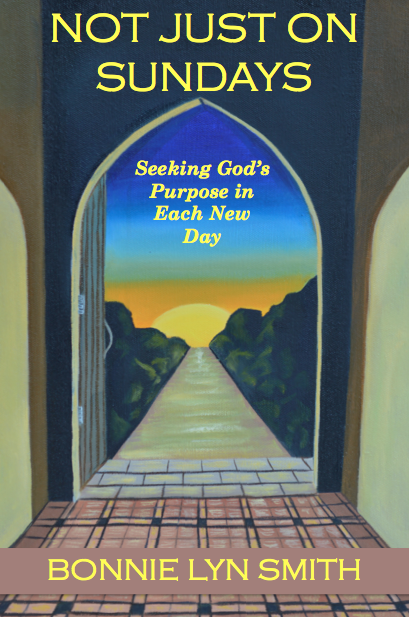 Today, Espressos of Faith offers an excerpt from the upcoming Not Just on Sundays: Seeking God’s Purpose in Each New Day, due out this month. I performed an interesting social experiment in the past year at a favorite establishment in my town. Folks working there weren’t very friendly, to the point I dreaded going in. So, I tried being very kind every time I went, going out of my way to clean up any mess we left, saying something encouraging at the counter, and in general bringing in a consistent smile, no matter what attitude came back at me. I went in more regularly with my kids, having them do homework and lingering, looking for opportunities to bless. It took a few months, but then suddenly, the staff not only knew me by name, but they started going out of their way to also be kind: They brought my kids free food, helped me more with questions I had, and apologized for mistakes even when I didn’t complain. Although I’m sure I’m not the reason the entire establishment is friendlier, I was able to show my kids that kindness begets more kindness. Even they have noticed a difference. With the tongue we praise our Lord and Father, and with it we curse men, who have been made in God’s likeness. Out of the same mouth come praise and cursing. My brothers, this should not be. Can both fresh water and salt water flow from the same spring? My brothers, can a fig tree bear olives, or a grapevine bear figs? Neither can a salt spring produce fresh water. And here is a fun one for you. I thought it was amazingly descriptive to wear cursing as one’s garment and have it enter one’s body like water and bones like oil. Hello, songwriter! Modifiers and analogies make my heart jump! may it come on him. may it be far from him. into his bones like oil. Above all, love each other deeply, because love covers over a multitude of sins. Along the same lines, I had a difficult “issue of character” discussion with one child at bedtime one night. It wasn’t a huge deal, really, and it was only one area of correction, but this child struggles to receive constructive criticism no matter how delicately it is presented. I waited to make sure it sank in and shared that we all have to be able to take feedback and ask God if it’s something He wants us to correct. Then, because this child bruises easily from feedback, I spent the falling-asleep moments listing all of the things this child does well, areas where I am very pleased, and at Item Number 20, the slight smile gave way to slumber, and peace climbed beside us and laid its head on the pillow as well, a welcome companion. That is not how I conduct myself every day, but when I consult God and come from a standpoint of blessing, informed by His living Word, it is a much more peaceful way to do life. Just as mourning comes in waves, so does His grace. It rides in on constant tides like a covering of love that soaks into every pore until it fills the heart. There is never grief without grace, if we’d only learn to keep our feet in the Living Water, facing the oncoming surf, not fearing the raging storms, but instead standing steadfast to receive as He gives. If only we stood there in great faith and expectancy, we’d quickly find He never ever stops giving. We’re the ones who lose hope or courage and walk away from the source. His waves of grace chase us and lap at our feet, desiring to heal, to nurture, and to be received, but if our backs are to those waves as we walk away, we never even know what was there for us, what we failed to discover as we walk back inland to where discouragement and fear are ready to take hold and plant roots—only because we gave those dark thoughts permission again. I don’t want to give them permission anymore. I want to sit in tide pools of never-ending grace at the feet of Jesus. If you trust Him, you can sit there too! 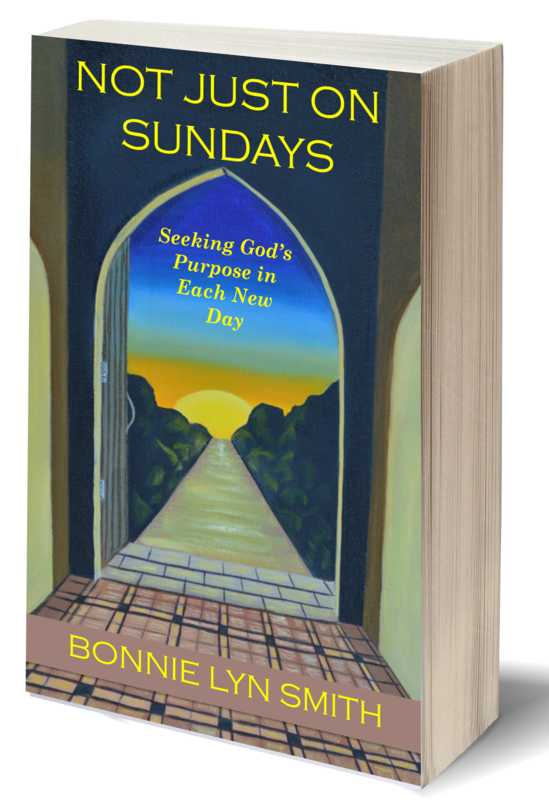 Posted by Bonnie Lyn Smith on September 13, 2014 in Grace in Big Gulps, Journey to Publication: Excerpts from "Not Just on Sundays"